This is an awesome image!! I really love winter-like images!! This is one of the best! This is a great scan(so clean)!! Love the image. Woah~ the full thing. *_* You're awesome, Sammo! OMG! 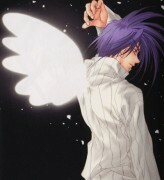 That is the best DNAngel image I've ever seen. It's so cute! Where'd you get that, wow it's so cute I'm just gonna die! >< Daisuke and Riku look really, really, cute, it's just amazing.OMG, anyways ^^ sorry about that. Great image! That really cool. Dark has a funny expression. And Daisuke and Riku looks really cute together. 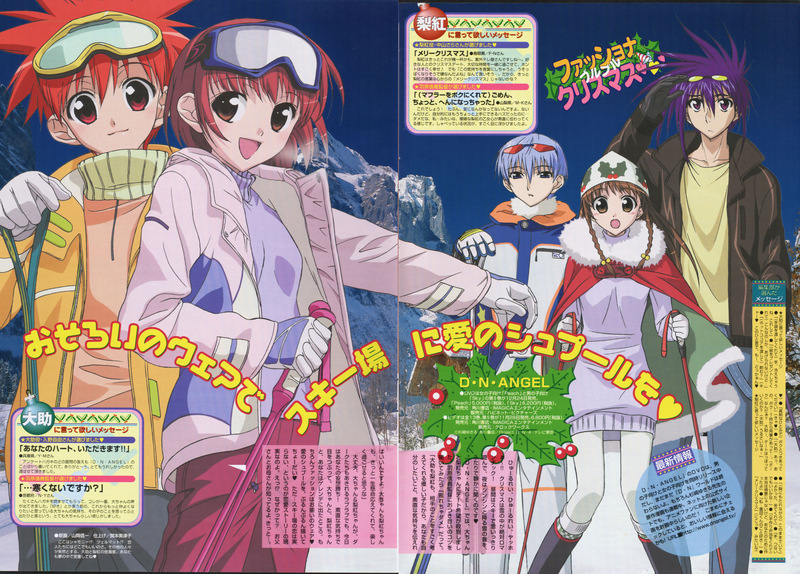 awesomeeeeeeeeeeeeeee, i love the whole winter skiing theme, good job scanning it. nice work it's sooo amazing!!! awwwwwwwwwwwwwwww!!!!!!!! soooooooo cute! 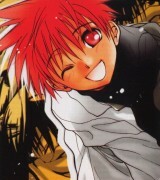 ^^ I luff it! thanx for the great scan! reall cute! thank you so much! 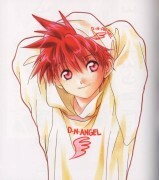 this dnangel scan is very sweet ^^!